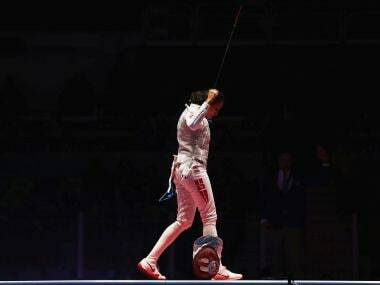 Rio de Janeiro: Ines Boubakri won Africa's first women's Olympic fencing medal on Wednesday, dedicating her bronze to "the Tunisian woman, the Arab woman... who has her place in society". Boubakri defeated Russia's Aida Shanaeva in the individual foil third-place match. "This medal, it's historic for Tunisia. It's incredible," said the 27-year-old. "I hope that this will be a message for all Tunisians, especially our youth, all Tunisian women, the Arab woman. "A message which says that you must believe that women exist and they have their place in society." Victory was particularly sweet as Boubakri had lost to Shanaeva at the world championships in Moscow last year.